A very pleasant news for those who have qualified Mains Examination of SBI PO, which was held on 4th June 2017. Finally, the bank has released the notification regarding the conduct of the Group Exercises and Interviews. The Group Exercises & Interviews (Phase-III) will be conducted from 4th Sep 2017 at selected centres. 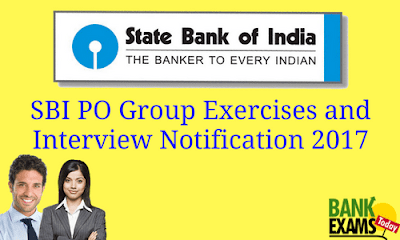 Candidates shortlisted for the Group Exercises & Interviews (Phase- III) are advised to download call letter from the Bank’s website from 16th August 2017 onwards.